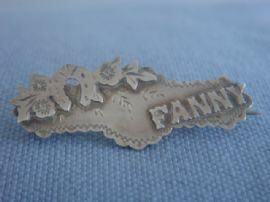 This Edwardian sterling silver 'FANNY' name brooch has the added advantage of having this pretty name picked out in block capital letters which are applied to the real silver antique brooch to great effect. 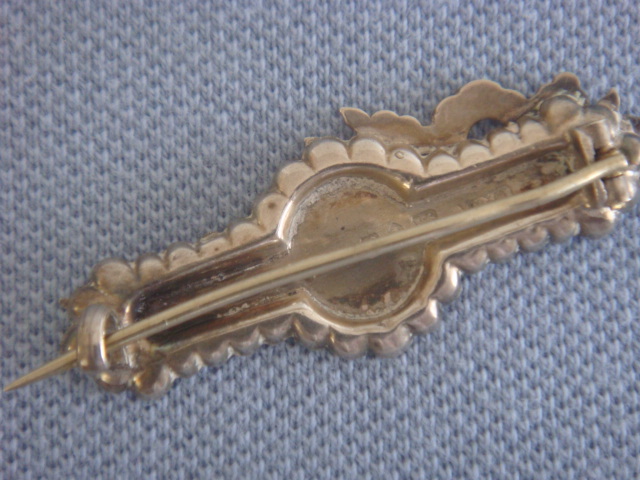 The bar brooch has been engraved with foliate markings and is a decorative shape too. It also has an applied decorative panel with a lucky horseshoe and three open flowers with leaves. 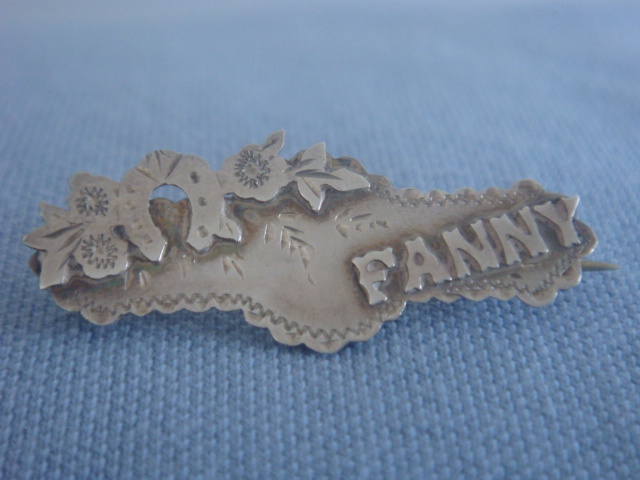 Measuring an inch and a half in length and about half an inch at its widest point, this brooch finishes with an old fashioned 'c' type clasp - in common with Victorian and 19th Century brooches and pins. 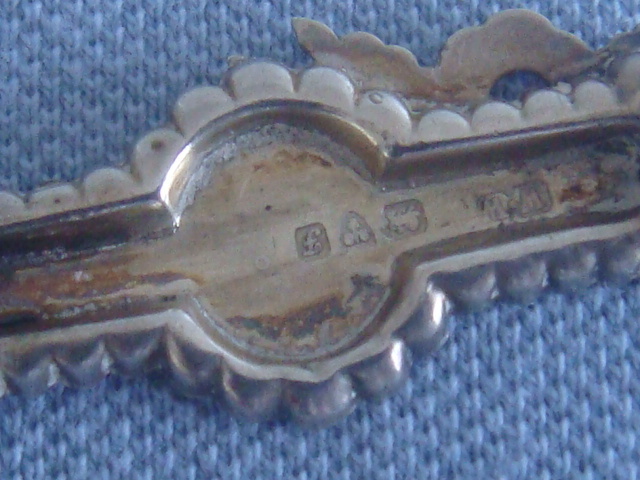 It has the full Hallmark for Chester, the lion passant to show that it is sterling silver and the letter 'f' for the year 1906; there is also the maker's mark 'W.W.' but I haven't been able to find out any more about these silversmiths. I never overclean antique brooches as collectors often want their Victorian or Edwardian jewellery to look as if it has some age! This would clean up bright and shiny with a silver cleaner if you wanted it to look like new!